Through the Leaders in Law website you can find a lawyer anywhere in the world specialising in the area of the law with which you need assistance or advice. 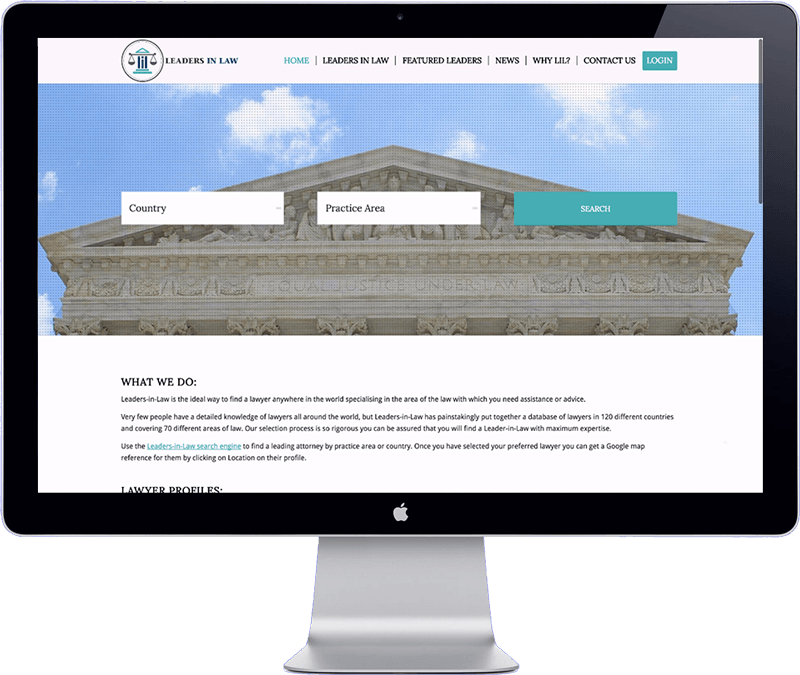 United Kingdom based company Leaders in Law required a website with modern design that would fit well with their logo and brand identity. A large database with lawyers needed to be integrated and an easy search and filter functionality was developed from scratch. The website has been build with WordPress CMS, and is very easy to manage and update. The website is responsive and has a optimized design for tablet and phone formats.